Disclaimer: Views expressed here are my own. Specifically- they do not represent NSF (National Science Foundation), USAP (U.S Antarctic Program), or UTMB (University of Texas-Medical Branch). Greetings from the bottom of the world! Just wrapped up a summer at a deep field camp in Antarctica and was asked to share my experience. The experience overall was fabulous! I would do it again. In fact, I am signed up for the South Pole winter in 2017! The process and the learning curve is like walking into a new facility and trying to run full speed from the start. I have broken this down into certain aspects of my experience so you can browse as desired. It is more of a summary on each point than a true essay style trip report. Hiring and Orientation: This was a very vague process. I was hired during a transition in UTMB’s leadership and was unsure of where I stood until the very end of the hiring process. Once hired, everyone needs to be PQ’d (personally qualified). They PQ all participants and alternates- approximately 4K people. This is a health screening and varies on age. It is detailed and cumbersome. Orientation for medical staff was in Galveston, TX and covered mandatory UTMB training and stuff relevant to the Ice (Antarctica). Midlevels are hired at South Pole Station (winter only), McMurdo (summer and winter), and for field camps (summer only- and numbers vary). Docs are hired at South Pole, McMurdo, and Palmer Station. 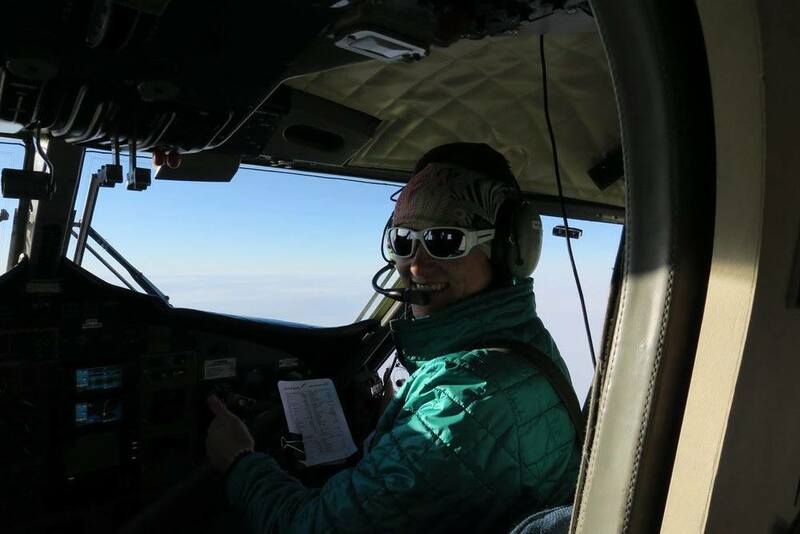 There is a nurse administrator and flight nurse hired each summer for McMurdo. Travel/Arrival: Arrival to the ice varies depending on your role and location. For example: The summer doc for pole arrives in early November and the doc for McMurdo’s summer arrives in August during Winfly (Winter Flights- use to be the first set of flights all winter- now there are flights every 6 weeks in the winter). There is an overlap of about 4-6 weeks for summer/winter docs at McMurdo. Not sure for Pole/Palmer. I arrived October 11th about 2 weeks after the flight nurse and nurse administrator. In regards to licensing- you just need a state license… any state. The stations fall under the U.S. Base Act. In my hiring process, I was interviewed by both UTMB and the field camp manager for WAIS Divide. The expectation was that I would work outside of my medical role as a member of the general camp staff. McMurdo: McMurdo is the largest US station and the largest base on the continent. The station sits unusually close to New Zealand’s Station (Scott Base), and is a transportation hub for many different countries. Population reaches approximately 1000 in the summer. On arrival we spent a few days in orientation and resting. I was surprised at how dehydrated I was (yes it is dry here- I chugged water), how itchy I was (yep- the dryness again), and how exhausted I was. It took about a week or two to catch up. At first the place seems big- but it is a really small town. Everybody knows everyone else. People have been coming down for years, and you are the new kid on the block. The work schedule is 7:30-5:30, Monday through Saturday. Field Camps: There are tons of them, approximately 40-60 that run various lengths of time over the summer. Most of them are small, however, it varies year-to-year depending on science needs. Most field camps are exclusively science with 1-2 ASC (Antarctic Support Contract) staff members. ASC is a umbrella of all the services down here (UTMB, food service, trash service, general support). Currently Lockheed holds the contract for the ASC and farms out different aspects of the contract (ie medical to UTMB). There are 4 camps with ASC staff in the ‘deep field’. Not sure how that is decided. 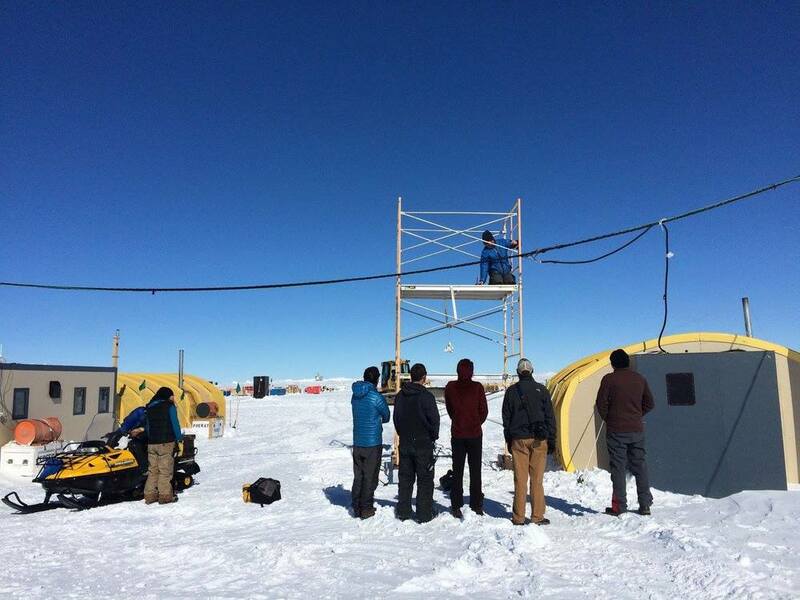 This year, only WAIS Divide (West Antarctic Ice Shelf) needed a PA. Our camp population was 20-40 throughout the season and we supported 4-5 science groups. WAIS is approximately 1000 miles west of McMurdo and was built in 2005 for an ice core drilling operation to study global climate change patterns. The drilling was completed in the ’11-’12 season (I believe) and reached a depth of over 3000 meters. Since completing its’ main mission, the camp has supported other science groups while the drilling arch has been stripped. 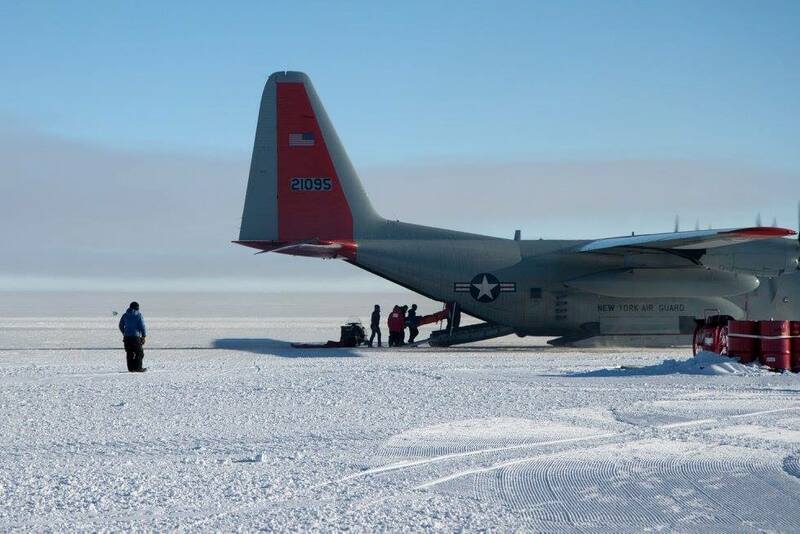 Routine in McMurdo: I arrived in McMurdo 3 weeks prior to my scheduled ‘put in day’ at WAIS Divide. Each morning we would meet at 7:30 for stretching and a morning briefing. Camp packing tasks would be divided and need for assistance would be assessed. I spent 1.5 weeks gathering medical gear. I was assisted by a third party contractor down on the ice putting together field kits for the other field camps. Each year it is sort of a free for all on field camp medical gear and the wheel is reinvented each year. Kristin came to the ice to standardize the kit. She was also the PA at WAIS Divide the first year it opened and was a great resource. I also assisted her in inventorying other medical gear. My roll is somewhat unusual in that I am paid by UTMB, however, my supervisors are non medical. I had an office in medical, but had no responsibility to see patients. The pace of the clinic is glacial (relative to a busy emergency room) and I picked up patients as I wanted. Our field camp spent time finding our equipment, preparing sleep kits, and entering stuff into the cargo system down here. Once our equipment was packed and into the cargo system, we were tasked to repairing field camp tents in one of the Skidoo bays. After that was finished we were farmed out to other groups on the station based on our area of work. Medical was fairly slow so I ‘volunteered’ (during work hours) with various groups. I counted washers (not kidding), sorted marking poles, inventoried camp equipment, cut foam mats to size, cut fruit for brunch, and various other tasks. Eventually, I floated back to medical and started helping the flight nurse with streamlining/cleaning the clinic. In my spare time I saw a few patients. In our free time we hiked some of the loops around town (Observation Hill, Discovery point, and Armitage loop). You can XC ski on set trails, and there are trips to Discovery Hut and Cape Evans (another hut), which were both built by Robert Falcon Scott. There are plenty of lectures and talks- including a regularly scheduled science lecture. On most nights the bars are open (there are two) and on Thursday night there is ‘American Night’ at Scott Base. Scott Base has 40-50 people and our population easily outnumbers them. There are set times to visit Scott Base throughout the week to limit the impact. Their store is way better than ours. The stuff is nice, and the prices are not horrible. There beer selection is way better too! Sigh….I miss craft beer. WAIS Divide: Arrival at WAIS Divide was delayed an additional 2-3 weeks because of weather. The weather is notorious at WAIS (visibility/overcast) and due to a bad storm we were pushed back several days. I was scheduled to be on the 4th flight into the camp, but got bumped to the 5th flight. The camp manager, Beth, was a critical care trauma nurse and was able to provide medical care for the first part of the camp. WAIS Divide also hosted a Twin Otter (airplane) and crew all season belonging to KBA (Kenn Borek Air). KBA is a Canadian company that supplies airplanes to many countries on the continent. They supplied the US program with 4 Twin Otters and 2 Basslers. All of these on skis! On arrival my gear was stored in a tent that was heated while the Carps (carpenters) worked on the rest of town (and my medical tent). As the medical provider, they required me to sleep in the medical tent. I was one of a handful of people that had a heated tent. My work/personal space was one in the same. The remainder of camp staff and science slept in Arctic Ovens (tents). They are surprisingly warm. The sun is up 24/7 and solar noon is at 8:30 in the morning. At the end of the season I slept in a tent and was pleasantly surprised how warm it stayed in the tent. Temps ranged from -15F to 30F. The major factor in it being ‘cold’ was the wind. If it wasn’t blowing- it felt warm. During bad weather we would find inside jobs (end of season reports, inventory, etc). Our days started at 7:30 with a morning meeting and stretching with the entire camp. Here we would learn the flight schedule for the day, the weather, science plans, and KBA’s plans. We would review progress/events from the day before. Afterwards 5-6 of the core ASC staff members that did general tasks would meet to discuss the list for the day. Tasks were divided up and we all went to work. Throughout the season I did the following: Dug out vehicles, dug out empty fuel drums, dug out full fuel drums, dug out the drilling arch entrance, cleaned outhouses, stocked outhouses, started the melting process for new outhouse holes, rearranged cargo lines, built/packed/strapped cargo returning to McMurdo, dug out fuel pits, help deploy and tear down fuel pits, clean stoves, paint visibility markers, raise skiway markers, redo taxiway markers, place cargo on winter berms, cleaned modules, inventoried food, moved food from the freezer caves, and developed a trench rescue plan. There were plenty of things to be done. In addition to the above- we all were expected to shovel snow for the melters in the wash modules (we had showers) and the kitchen. We were also expected to help with dishes at mealtimes and regular cleaning of the wash module. In my 9 weeks there I saw about 30 patients. We had two fractures this year and 2 medevacs. These were unusual events. There had been no previous fractures in the camp’s 10 year history. I spent very little time in the medical tent. If I needed time to see someone or notes to be done, I spoke up. The camp coordinator/supervisor was very laid back. We worked when we needed to, and when the weather was bad, we hung out inside. Breaks were encouraged. We had 5 science groups: 1. Helping with deconstruction of the arch 2. Installing/servicing weather stations 3. A group passing through into a smaller remote camp 4. A group studying weather/meteorological data at WAIS Divide and 5. A group studying seismic movement in West Antarctica. Two of the groups shared KBA’s Twin Otter for the season and we were all given the opportunity to go on a working boondoggle to help out the science groups. I helped install a new weather station near the Ellsworth Mountains and dig out a seismic monitor. Other folks saw penguins on the coast and rock towers in the interior. Our science groups were great. The folks came from different backgrounds. They pitched in and helped with shoveling snow for melters and cleaning dishes. A fair number also would give a hand when calls were made to shovel out the fuel bladders and other big projects. They gave science talks on request, performed music, and helped each other’s groups out. They were a great bunch. In our free time there were limited activities. We could XC ski on our 10,000 foot runway. Occasionally they would groom a ski track around town. WAIS divide is located on a flat plain. On a quiet day you could sit at the end of the runway looking out to endless flat white- hearing and seeing nothing at all. It was pretty cool. There was also a rec (recreation) tent with a projector, plenty of games, an exercise bike, and various craft projects people had left. There was also the ‘bucket club’, which was a nightly gathering in the galley for discussion/beverages. The drilling arch is a structure that was built above ground, but is currently submerged due to drifting snow. It was the reason the camp was created. It is currently being stripped and next year they will decide if they should leave it to be swallowed by the snow or completely deconstructed. The arch has always had a 30 foot trench in place and this year, the rescue plan was left to the camp staff (as oppose to past drilling teams). Along with a FSTP (Field Safety Training Program) Mountaineer passing through (who supervises science group safety in the field), I was able to utilize some high angle experience and create a rescue plan. The trench was filled in at the end of this year, eliminating the hazard. Returning to McMurdo and end of season: I currently sit at McMurdo writing this. Once camp starts coming down and I knew the end was coming, I was anxious to get back to McMurdo. Arriving back here was a great feeling. It was a combination of the feeling I got returning to college after the summer (and running into lots of familiar faces) and the feeling of joy when I walked out of my last final for the year. There are still a few more days here in McMurdo, but everyone is looking forward to time/plans off the ice. Overall some take home things about this experience: Everyone wants to be here- It takes a lot of paperwork to get here. One does not simply show up. Because this is seasonal work, there is a sense of freedom- and end to the job, no matter how bad it gets. There is the ability to travel afterwards. It is a chance to take care of a relatively healthy community working hard at a goal. There are plenty of cynical and ironic things about this place. It is not a career- but it is a great adventure!